Central Intelligence looks like the beginning of a beautiful friendship, even if it’s not quite a beautiful beginning of a beautiful friendship. 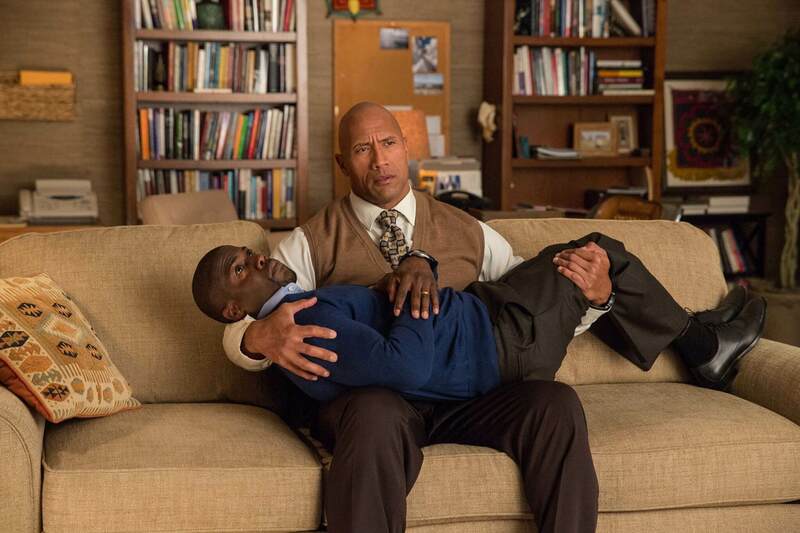 Pairing up Kevin Hart and Dwayne “The Rock” Johnson in a buddy action-comedy is obviously such a good idea that it’s hard to imagine why it didn’t happen sooner. Both actors have established their brands so well that you already know they’re going to have good chemistry…just don’t expect the brand of buddy chemistry the film’s trailers are selling you. Twenty years after he peaked in high school, Calvin (Kevin Hart), dreads an upcoming class reunion because his former peers will see that he abandoned his youthful ambitions and settled for the security of a boring desk job. Accepting a random friend request on social media leads Calvin to a night of drinking with Bob, a high-school laughing stock who grew up to become Dwayne “The Rock” Johnson. One thing leads to another, and Bob eventually admits that he works for the Central Intelligence Agency. I won’t reveal anymore story than that because, for some reason, Central Intelligence tries to tell a compelling story with actual twists and turns and stuff. Of course, it fails miserably. After unapologetically establishing itself as a starring vehicle for Hart and Johnson to play off each other, the plot of Central Intelligence refuses to hang back and let the two actors do their work. Instead, it often takes center stage and isn’t clever, which means that some of the comedy loses steam to plot mechanics. Along with the overly convoluted plot, the other big surprise of Central Intelligence is Dwayne Johnson’s Bob. While trailers have been selling the film as the confrontation between two on-screen personas we’ve come to know and love, we’ve never seen Johnson like this before. Calvin is a great rendition of Hart’s usual shtick, but Bob is an uncomfortably awkward stalker who occasionally displays familiar “Rock-isms.” Bob doesn’t always feel like he belongs in this traditional comedy but maybe in one of those bizarre Adult Swim shows. That said, these flaws can’t overcome the sheer likability of either star. As uncomfortably strange as Bob is, it’s relieving to see Johnson try something we haven’t seen him do before. Calvin’s sympathy for Bob is even surprisingly touching, and the pair forms a convincing friendship that allows the comedy to flourish. Sure, a few scenes fall flat, and the film overstays its welcome by 15 minutes. Still, the laughs are steady throughout. Honestly, I wouldn’t mind a sequel to Central Intelligence. Although the comedy duo of Hart and Johnson is off to a rocky start, it’s easy to picture the two sustaining their interplay, successfully, for a number of films. Should there be a sequel, I hope it doesn’t worry about plot so much and finds a tone to better match Bob’s characterization. For now, I’m on board with the Hart Rock Café. What? Don’t pretend like you weren’t already thinking of referring to the duo with that nickname.